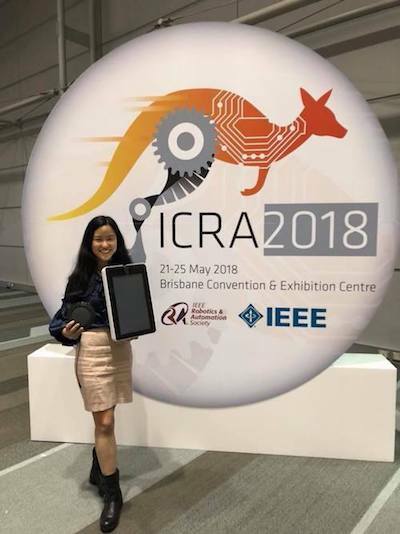 In May, we showcased our version 2 Teleport head prototype at ICRA in Brisbane. 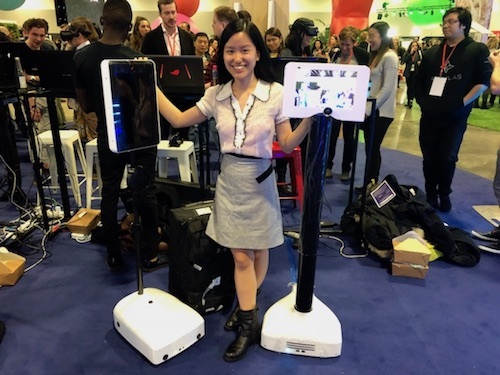 In June, we showcased our version 2 Teleport prototype at TEDxSydney. 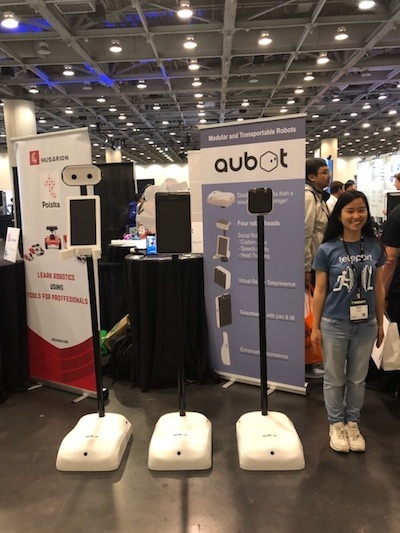 In September, we showcased our V2 suite - V2, V2PT, VR and VS robots at Tech Crunch Disrupt in San Francisco! Now we are working on bringing our V2 suite to production and usability testing all the software! Let me know if you would like to user test any of our robots! 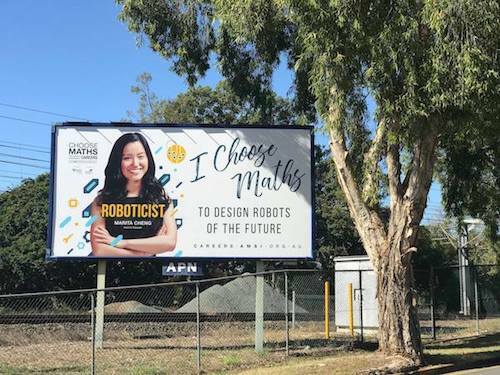 Choose Maths is an exciting 5 year, national project designed to empower and encourage Australian students (in particular girls) to pursue mathematics through to year 12 and beyond. Despite past efforts, the statistics show that in 2015 only 6.9 per cent of Year 12 girls studied advanced maths compared with 12.6 per cent of boys and the aim of Choose Maths is to turn this around. I was chosen to be an ambassador in AMSI's Choose Maths campaign. 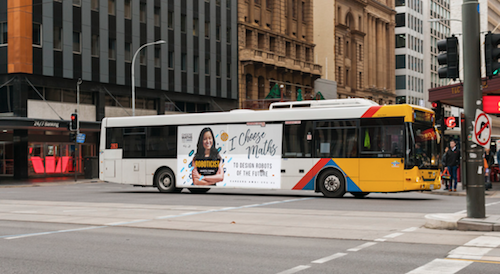 As part of that, I have been placed on billboards and buses around Australia! To show that maths is more than textbooks and numbers - it’s exciting and innovative and can lead to a variety of jobs. Here are a few of the billboards from around Australia. 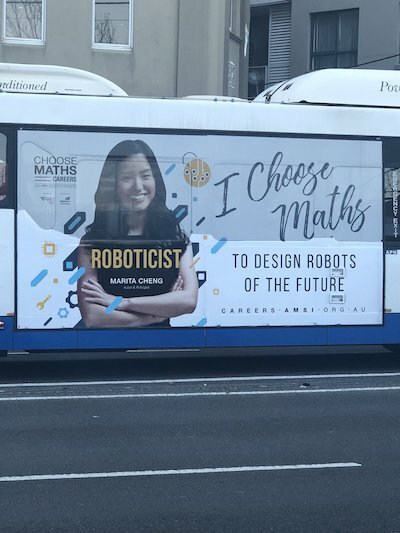 As well as that, the CHOOSEMATHS campaign made a video covering my journey with Robogals and Teleport. Flyers, brochures and posters have also been distributed to high schools throughout Australia. To find out more, visit the AMSI website! On 14 July 2008, I founded Robogals. I’m shorter than Mark in real life, but I’m not that short! 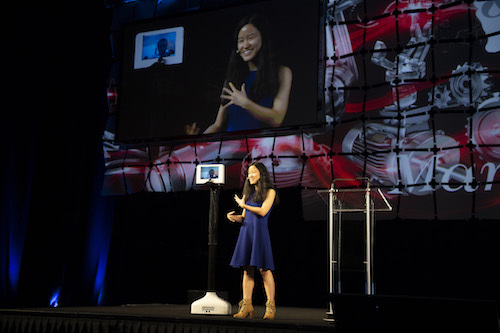 (You can adjust Teleport to make it taller, but the microphone was taped at that height for this event). 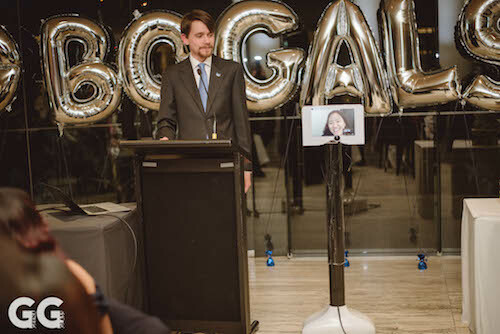 I gave a speech with my robot on stage at the Australian Water Association’s National Conference. It was super cool! My engineer Mack drove it from Melbourne onstage with me in Brisbane and told the audience all about the robot. 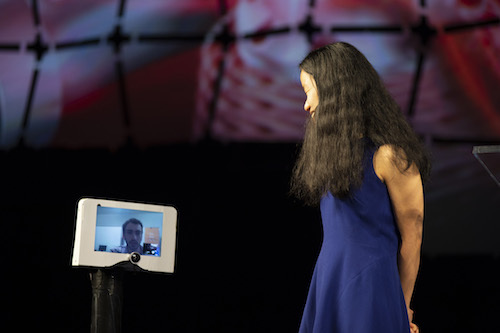 I think it’s one thing to hear about the robot, another thing to see it in person and a whole other experience to actually use it. Here's Mack as a short Teleport. Then Mack made himself a bit taller. I travel frequently for speaking engagements and meetings. When I’m away from my team, I use the robot to log into the office to work with my team so they can give me a holler if they have any questions. I use Teleport about 2-3 times a week for many, many hours. I drive it right up to the engineer, peer at their screen and ask them how their work is going. They love having me around. :) It’s like I’m there in the office even though I’m interstate or in another country. It’s like magic! Here's a short video of Mack and my banter onstage! Ruby Payne-Scott was a pioneer radio physicist. 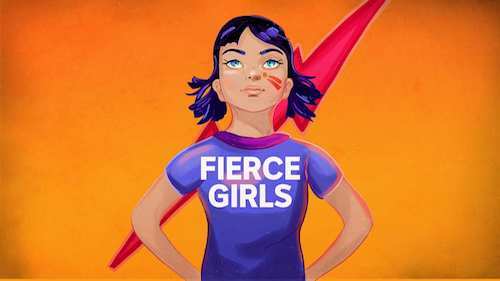 I was asked to go in and narrate her story for the ABC’s Fierce Girls series. Listen to it here! Synopsis by ABC: In the 1940s when Ruby Payne Scott went to university she was the ONLY girl in her class. Back then, you could count the number of female physicists in the entire country on one hand. Ruby was super smart but she struggled to get a job because blokes thought women belonged at home. Not Ruby — she once used a bent coat hanger, some plugs and a few bits and bobs to tune in to the noises of the galaxy — something nobody had ever done before. It’s no wonder she went on to become one of Australia’s most outstanding physicists. 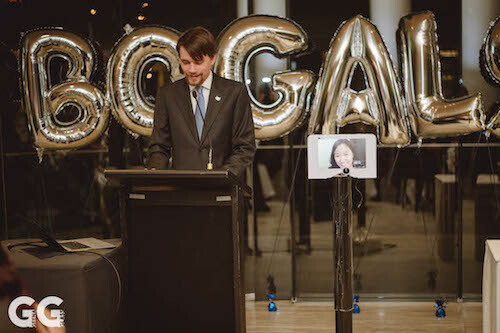 I'm the founder of Robogals, and the Young Australian of the Year for 2012. Currently working on robotics company, aubot. I sometimes give speeches around the country. I tweet @maritacheng and I'm on Facebook.